Calling all dynamic and passionate individuals who are keen to learn more about the traditional Malay dance as well as kompang! 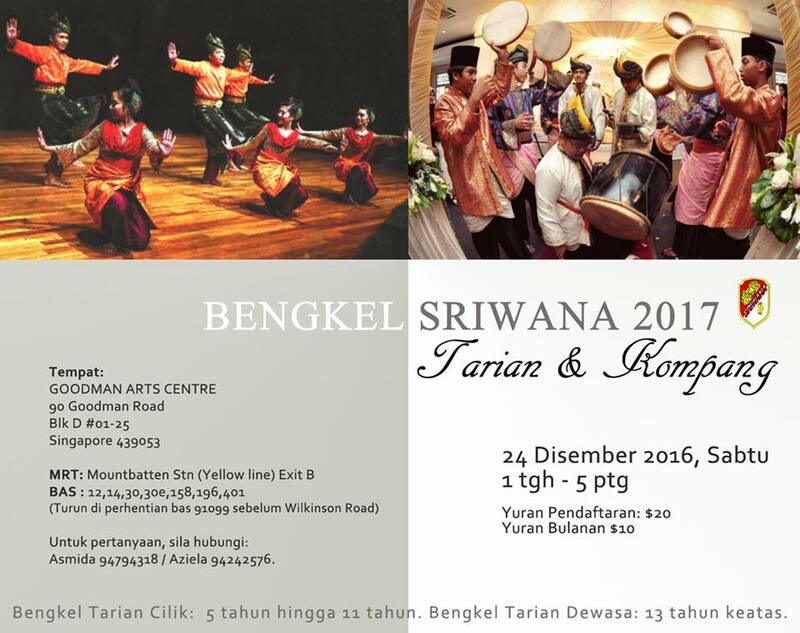 Sriwana is holding its annual Bengkel Asas Tari & Kompang this Saturday, 24th December 2016 from 1:00 to 5:00pm. For more information, please contact Ms Asmida at 9479 4318 or Ms Aziela at 94242576. Let’s groove at Pentas Seni 2018! SRIWANA presents SUARA – Menaruh Harapan..